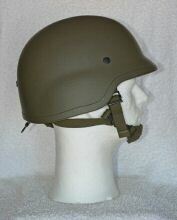 "Schuberth 826 preserial helmet. 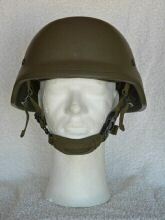 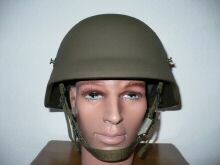 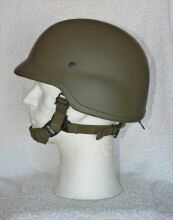 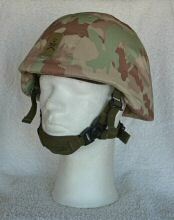 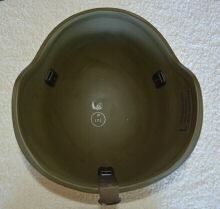 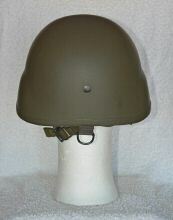 Before Schuberth got the contract for the new Swiss combat helmet to replace the old RBR helmet a troop test was made. 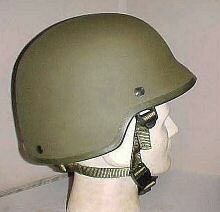 Schuberth sent this type of helmet for the first test. 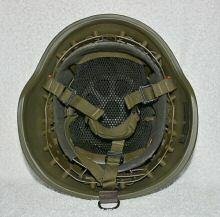 It is a 826 shell with ballistic equipment pollards. 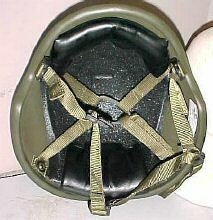 The pollards replace the standard bolts so you can attach a visor or something else. 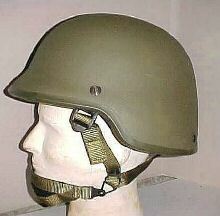 The suspension is fixed in the helmet with the Quick Exchange System (QES). 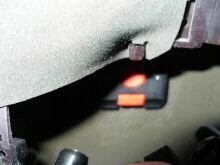 If you push inside the helmet on the end of red plastic stripe you can remove it. 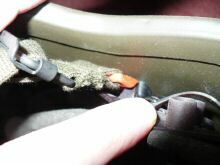 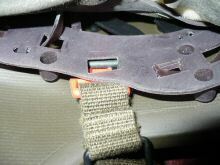 It allows the soldier to dismantle the suspension and strap in seconds. 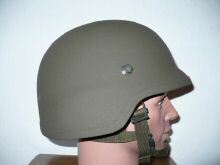 The QES is present in the Swiss issue helmets." 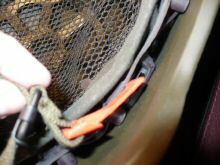 "It is almost a standard Schuberth 826, but with a liner system that displays three very intelligent plastic clips that make the liner sturdy and safe, but extremely easy to remove. 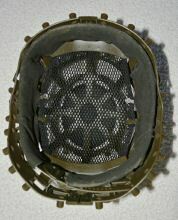 You will observe that it includes a rubber pad for the crown of the liner, for further protection." 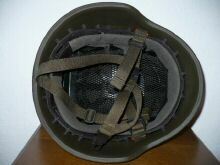 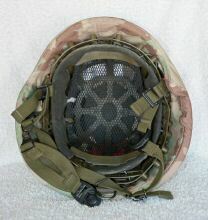 The helmet is well known, but these camo covers are so scarce that I have not even been able to find pictures in the internet. 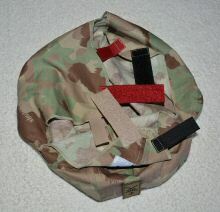 This pattern is nicknamed Südtarn (southern camouflage) and Wüstetarn (desert camouflage)." 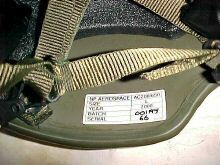 NP AEROSPACE in the United Kingdom.